1. Why do I have excessive hair? a). For most people, this is due to genetic or familial factors. There is no underlying medical cause for the excessive hair growth. Hormone levels may be normal in these women. b). 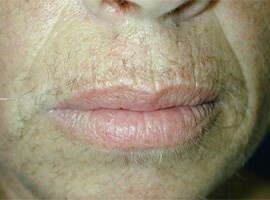 Rarely, excessive hairs may be due to underlying medical problems. These conditions are associated with hormonal disturbances resulting in extra hair growth. Besides excessive hairs on face, these patients may have other signs and symptoms of hormonal disturbances such as weight gain, excess hair on chest and abdomen, loss of hair on the scalp, dark pigmentation over body folds (neck, axilla) and menstrual irregularities. Hence it is important to investigate and rule out such underlying abnormality. Gynaecologist’s advice, blood hormone levels, ultrasound etc are needed. 2. How can the excessive hairs be removed? The temporary methods remove the hair shafts but leave the hair follicles and hair roots intact. The commonly used temporary methods include shaving, waxing, application of depilatory creams and even plucking. Given time, hairs will grow out from the hair follicles again and the process needs to be repeated indefinitely. Though cheap, these methods are time-consuming, repetitive and often lead to pigmentation and thickening of the skin. The permanent methods remove the hair shafts and also result in destruction of the follicles and hair roots. For a long time, electrolysis was the only permanent method. However, laser hair removal has emerged has a better method in recent years. Electrolysis involves the application of electric current via a fine electric probe into individual hair follicle. This will result in destruction of individual follicle. However, electrolysis is extremely time consuming, painful, needs several sessions and may result in scarring of surrounding skin due to the non-selective destruction of tissue. Laser means light of a specific wavelength and hence is absorbed only by a specific tissue. Hence there is very selective destruction of tissue and hence no scarring. 4. How does laser work? Hair shaft – the visible part of our hair, which has no influence on the hair growth. Hair bulb – the part which is under the skin and influences the hair growth. There is no “communication” between the hair bulb and the hair. Hair grows in a cycle of three phases: a pigment called growing hair is present in the growing stage. Melanin absorbs the laser light and heat is generated which destroys the hair. Heat is absorbed in different levels resulting in hair destruction. Because melanin is present only in the growing stage, only growing hairs (about 40%) are affected and are destroyed. Resting hairs are not destroyed and hence the procedure needs to be repeated after a month for the next generation of growing hair. 5. Do lasers work wonders for hair removal? Lasers DO cause selective destruction of hair follicles and achieve long-term hair reduction after multiple sessions of treatment. 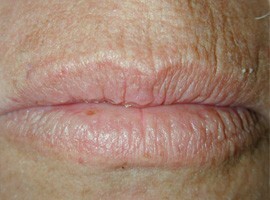 Side effects are rare and minor-such as redness and brown pigmentation of skin in a minority of patients. These are temporary and can be easily prevented by using appropriate precautions such as using sun blocks and depigmenting creams. Remember: Lasers DO NOT Achieve permanent hair destruction after one single treatment. A minimum of 3-4 sessions are needed for significant hair reduction. This is because lasers attack melanin present in the hair. Only growing hairs contain melanin and hence only growing hairs are destroyed. Resting hairs and grey hairs which do not contain melanin are not affected. These resting hairs reach growing stage after 3-4 weeks and hence laser needs to be repeated after 3-4 weeks to remove this second generation of hairs. After 3 sessions, a significant reduction in the number of hairs is achieved. In some individuals, with thick resistant hairs, more than 3 sessions may be needed. Thus the pattern of response may vary from patient to patient. Hence it should be careful about the advertisement, which promises miracle. 6. Are all lasers same? 7. Is laser hair removal expensive? If viewed as fees per session, it appears expensive when compared to the cost of a bottle of depilating cream or waxing or a session of electrolysis. However, when viewed long-term and recurrent costs of other treatments are considered over several years, laser hair removal is actually more cost effective. So, one should take in to account the effectiveness, ease of treatment, time spent, inconvenience of several treatments, and the quicker response –which all make laser hair removal the best and the most cost effective method of treatment. 8. What are the precautions for laser hair removal? Shave the hairs short on the day of laser treatment. 9. What can I expect from my laser treatment? When light is passed, you will have a sense of heat lasting for a fraction of a second. In the treated areas, the hairs blanch and fall of in two days. You are advised to use sun block creams. You are also prescribed a mild steroid cream for use if there is any redness (which is rare). Take good care of the treated sites to avoid any possible infection. Your doctor may prescribe you with some ointment to soothe the skin and to prevent skin infection.